One of Harvard University’s all-male clubs is inviting women to join for the first time in history. The Spee Club, which formed in 1852, is an exclusive social club which offers an elite network to members when they begin their professional careers. Alumni members included John F. Kennedy, Robert F. Kennedy and Theodore Roosevelt. According to the New York Times, the organization refused Harvard’s demands they start admitting women back in 1984. In response, the Spee severed ties with the university and moved operations off-campus. 31 years later, the club has apparently changed its mind. Female students received formal invitations to join the Spee’s recruitment process, known as the “punch,” reports the Boston Globe. 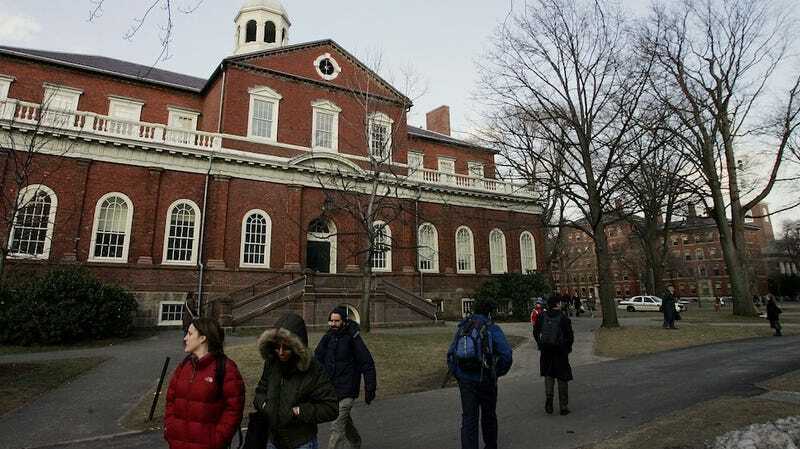 “There is a strong sense that it’s an idea whose time has come, given the role of women in the classroom and the world of work after Harvard,” John Hanson, vice president of the Spee’s graduate board, told the NYT. Harvard’s president, Drew Gilpin Faust, has been pressuring the all-male social clubs to open their doors to women.